Catholic Memorial’s intentional and innovative curriculum development is happening in tandem with our campus planning as we reconsider the look and feel of our academic, communal, and athletic spaces. Through this process, we are closely examining how classrooms should function and what attributes must be included so that teachers can maximize the effective delivery of content. While developing the underlying and guiding principles for new learning spaces, we must consider and appreciate the world that awaits our graduates in four to 10 years. Few argue that it will be different from the world that existed 20 years ago—let alone from the one that exists today. This demands an updated educational philosophy to meet tomorrow’s challenges. Such a philosophy demands a rigorous academic program that highlights and develops a skillset that includes leadership, communication, and critical thinking. To achieve this lofty goal, we must go beyond our curriculum by also considering the physical spaces that accommodate our teaching and learning. This environment must encourage the type of academic program to which we aspire. And to do that, we must consider moving beyond a traditional setup that relied upon lecture-style instruction with front-facing rows. 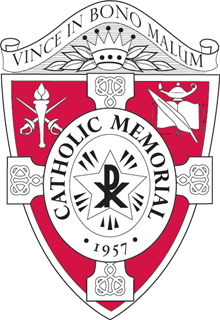 Over the past three years, Catholic Memorial has made great progress integrating Knight Based Learning (KBL) into its curriculum. The KBL moniker describes an approach that favors active, real-world-connected learning. Our 9th grade computer science course’s Shark Tank is a model experience for this type of learning. In this component of the course, students move through an iterative design process where they develop a product that is ultimately pitched to a panel of “faculty investors.” Through this effort, they are given the impetus to apply newly developed skills using the 3D printer and CAD design software. Additionally, they must also develop persuasive presentation skills for successful execution of this creative, open-ended design project. As you might imagine, a different type of learning space with varied resources and layout best supports units like this. As Catholic Memorial considers its vibrant, urban campus in the heart of the West Roxbury community, we are working to boldly redefine how educational pedagogy can better match existing teaching spaces. Based on this starting point, we are designing spaces that encourage dynamic relationships between students and faculty. While other institutions might “build” their way out of a tight space, CM is choosing to dive deeper into its current building footprint to activate its own underutilized spaces. The easy answer of a big, new building to magically solve programmatic demands is not the answer that furthers our defined academic goals of preparing students for the challenges of an uncertain and complex world. Instead, we believe that our educational spaces should serve our community beyond the capacity of a regular school day. The learning environment should encourage and demand interactions between and within disciplines, faculty, students, and the outside community. Because of the strategic thinking that we’ve done, we feel confident that our journey has resulted in the development of principles that describe superior teaching spaces that will serve our students and our faculty most effectively as we prepare the next generation of CM alumni. 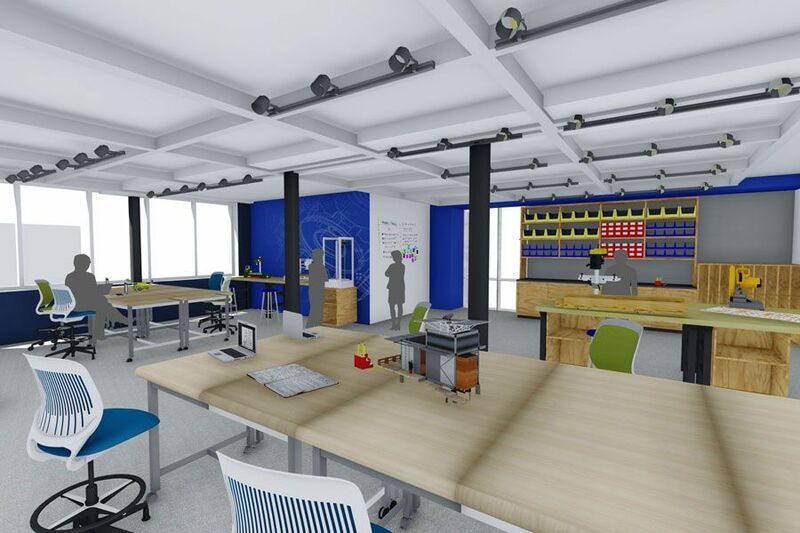 The Center for Integrated and Applied Learning (CIAL) will be CM’s most forward-leaning push to purposefully represent the needs of our students in the look, feel, and function of our teaching and learning spaces. The Center will be home to spaces referred to as “studios” instead of “classrooms.” This studio approach recognizes the iterative process that is so critical to expanding Knight Based Learning (KBL) in our curriculum. Learning in such an environment demands an un-siloed approach where all subject areas can join in grade-level and project-based work. Students participating in this culture will often create a “product” that must go through a number of “drafts.” Sharing, collaborating, and presenting are emphasized throughout this effort where process is as important as the final creation. Modifiable classroom furniture will allow students and faculty to change the learning environment to suit the educational goals of a given lesson. Break-out areas within and outside teaching spaces will promote individual or small-group reflection and ideation. Neighboring studios and adjacencies will support a range of hands-on creations. Adult work-spaces interspersed throughout the wing will model collegial interactions and allow for planned and unplanned conversations with students. Resources from our Academic Resource Center will be distributed and curated throughout this wing so that these materials are in areas where their ready-access can best support student learning, engagement, and curiosity. And finally, a variety of writeable surfaces will be integrated to encourage students to explore, display, communicate, and create. While the Center for Integrated and Applied Learning will open in September of 2020, this progressive approach is already being deployed on CM’s campus. This fall, we introduced new, flexible classroom furniture and innovative technology in our Math Studio along with two other recently outfitted classrooms (one theology and one English). Our faculty-student collaboration hub on the first floor of the academic wing is also testing the idea of shared office, homework, extra- help, and hangout space. The Center for Integrated and Applied Learning stands to be a flagship redevelopment of the current administrative wing. When it opens, form will meet function here at 235 Baker Street. This wing will be home to five new studio learning spaces, each showcasing the type of innovative, cutting-edge educational spaces that our boys need to develop success at CM and in whatever future career they choose. The carefully planned spaces will accommodate multiple uses by a range of stakeholders during a single day. The ability to modify the learning environment will ensure that they stay relevant for years to come. It is safe to say that, by 2020, the CIAL will open the door for our students to learn in tomorrow’s classroom. Mr. Brian Palm is the Director of Operations and the Science Department Chair.